With our Access Restriction extension, you can restrict access to your entire website and protected files by IP addresses. 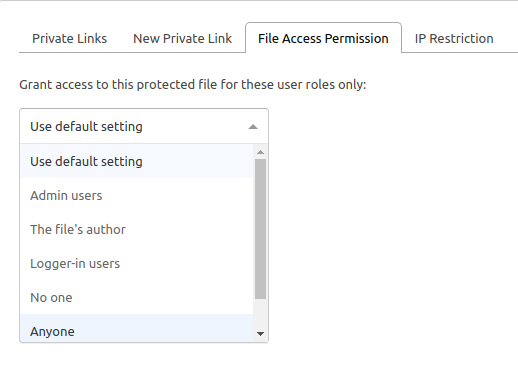 What’s more, you can allow certain user roles such as “Editors” and “Subscribers” to access each and every protected file. While you can grant access to all your protected files by user roles under Prevent Direct Access Gold settings, this extension allows you to do so for each and every protected file. Click “Submit” to save the changes. You may want to share your protected files with certain people only. Apart from expiring the link by date and clicks, you can also restrict its access to certain IP addresses. Similarly, you can blacklist certain IP addresses from accessing your private files instead. 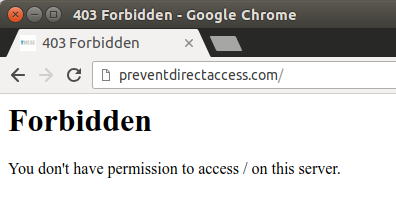 Follow the first step mentioned above then click on “IP Restriction” tab instead.